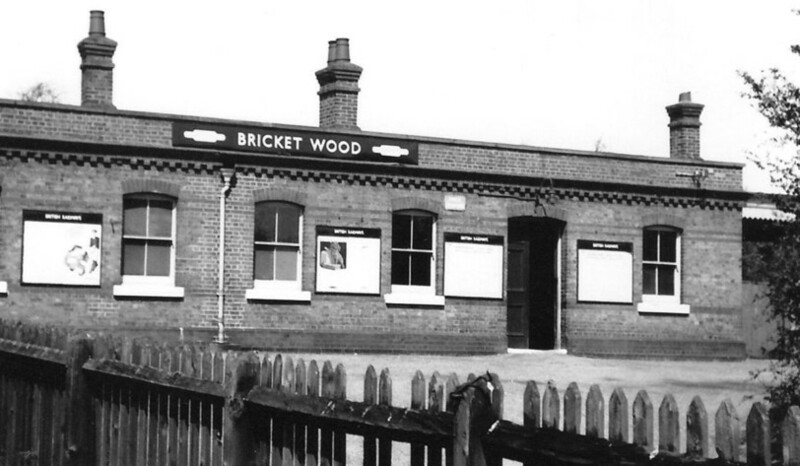 The Bricket Wood Station Heritage Trust is a Charitable Incorporated Organisation (CIO) founded in December 2017. We are a Registered Charity with Number 1176103. Membership of the CIO is open to anyone who is interested in furthering our purposes. A member may be an individual or a corporate body. Membership is by application to the Trustees, see our page ‘Join Us’ for information on how you can help us. 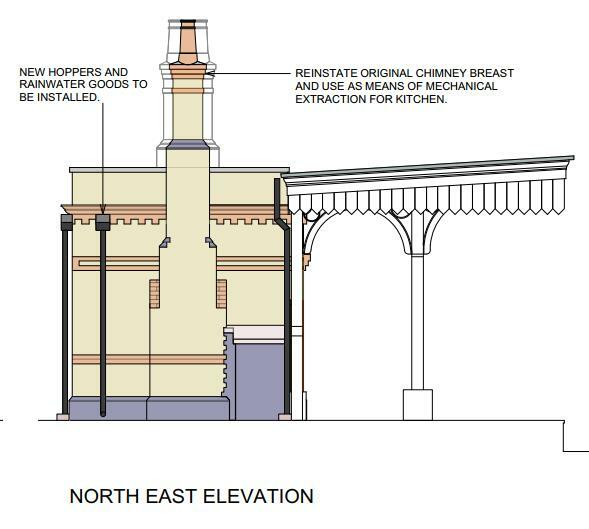 To preserve, renovate, reconstruct and operate for the benefit of the people of Bricket Wood, the county of Hertfordshire and of the nation at large, the historical, architectural and constructional heritage of the station building at Bricket Wood. This 1903 station is one of the few surviving stations from the Edwardian period and the sole surviving “steam-age” structure on the Abbey Line (Watford – St Albans Abbey). 2) To advance the education of the public in all aspects of the Bricket Wood Station and the Abbey Line, one of the few surviving branch lines from the London and North Western Railway (1846-1922), including the study and preservation of information, drawings, photographs, models and other material pertaining to the railway line, Bricket Wood, and related organisations and subjects. An ‘iconic’ view of the station from the main road in 1953, illustrating nicely the three distinctive chimneys that we are hoping to restore. The Trust enjoys considerable local support from right across the local community including St Stephens Parish Council, the Bricket Wood Residents’ Association, Bricket Wood Society, as well as with local firms such as the Building Research Establishment Trust and Travis Perkins. 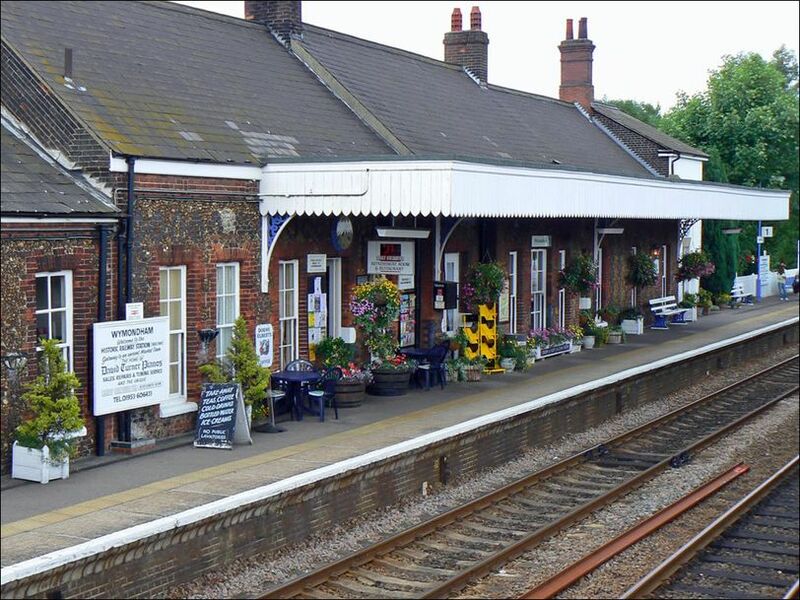 Importantly we also have the encouragement and backing of the train operator, London Northwestern Railway, and we are building a good relationship with the owner of the building, Network Rail, with a view to taking on a long-term lease. We are also a corporate member of the Abbey Line Community Rail Partnership and have excellent links with the Abbey Flyer Users’ Group. The building is these days just a bricked-up shell with no internal partitions. 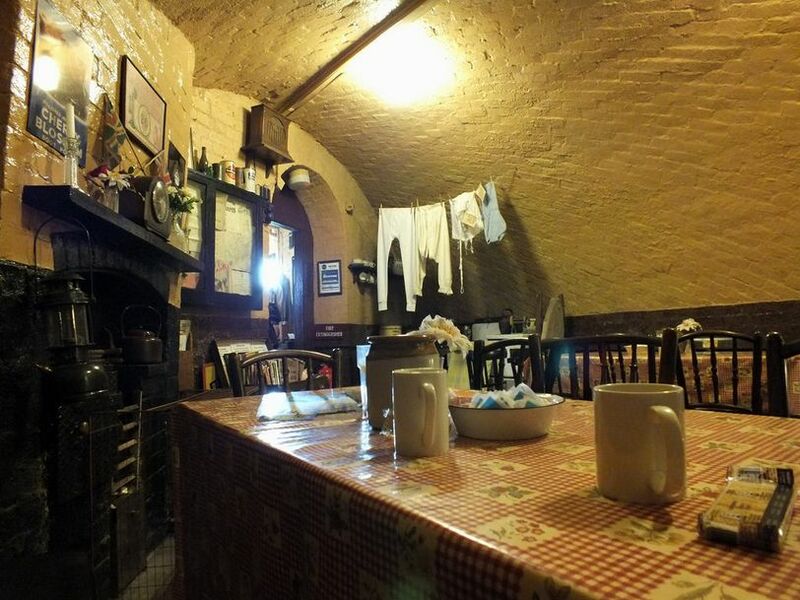 The interior was largely destroyed by fire in the 1970s and all three chimneys have been removed. Fortunately, however, the structure is sound, watertight and has recently been cleared of asbestos by Network Rail. Some minor repairs are necessary to the roof. View inside the building, 2007. 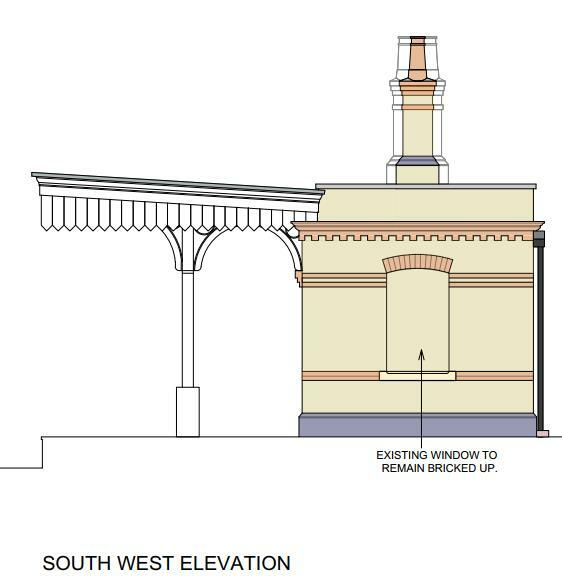 Our exciting plans will see us restore many of the original features of the building externally such as the wooden double doors on both the car park and the platform side, sash windows and the distinctive ‘three chimneys’. Our aim is to restore as much of the building, externally, to its former glory – in sympathy and harmony with the original design. In places we will have to leave a door or window aperture totally or partially bricked up to allow for the adaptation of the interior for its 21st-century use but this, in part, will help tell the story of the building. 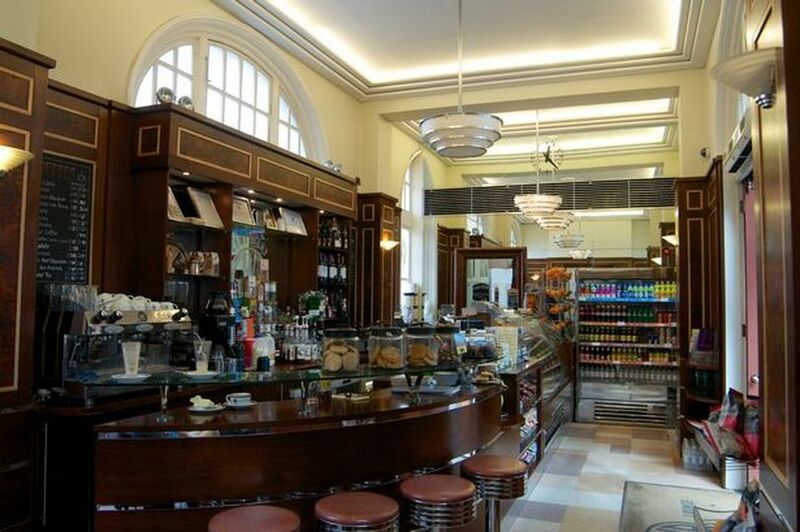 We will also take advice on how to make the restored building as energy-efficient as possible, such as by installing rooflights to bring in more natural light. The core of the project will be a heritage-themed tearoom, this will provide the income stream necessary to sustain the building in the long term. 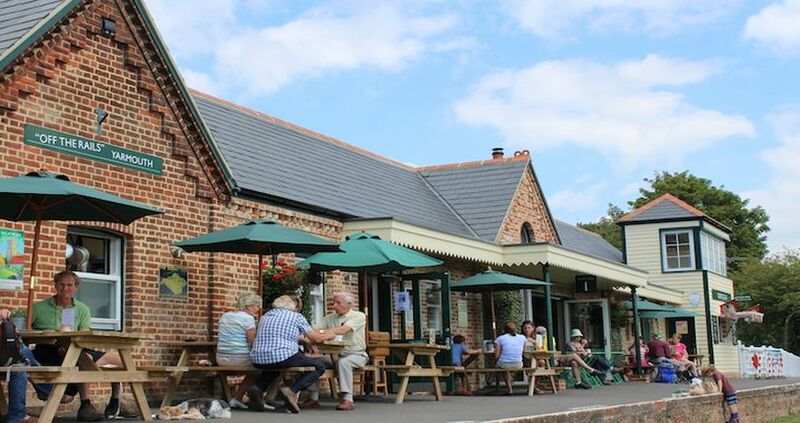 From early morning commuters who just want a cup of coffee, to mid-morning visits by parents and children, afternoon tea for the older generation, passing cyclists and walkers, the tearoom will be a relaxed, sociable space. 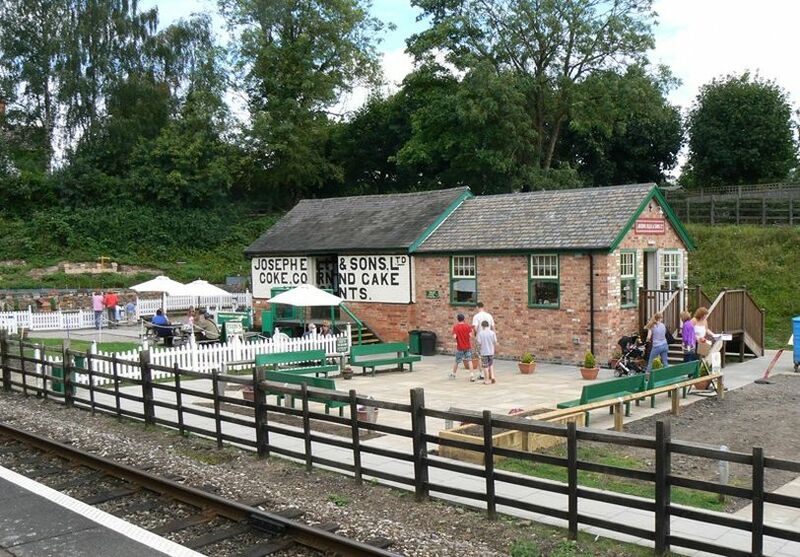 The walls will be adorned with photos and artefacts celebrating and informing visitors about the heritage of the station, the railway and the local area. 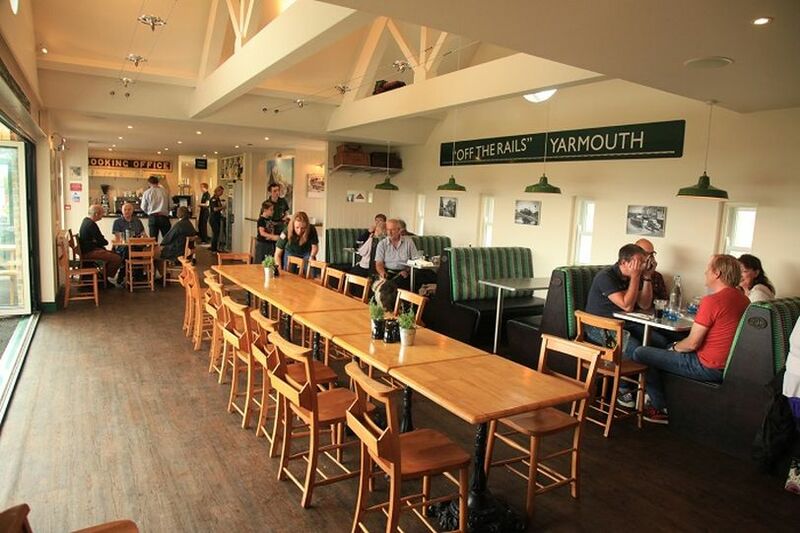 Taking our inspiration from other such projects right across the country, such as Wymondham (Station Bistro), Birmingham Moor Street (Centenary Lounge), Yarmouth (Off the Rails), Rothley (Ellis’s Tea Room) and Quorn (NAAFI Café), Bricket Wood station will become a destination in its own right. This should also serve to boost ridership on the Abbey Line too – why not arrive by train! However, working with local architects Sheldon Peevor, we have come up with a flexible space which is much more than just a tearoom. A moveable partition built into the wall of the disabled toilet will allow for half the tearoom space to be separated off at certain pre-booked times for private functions such as meetings, local interest talks, film nights, art displays, mother/baby groups, or even an intimate jazz or folk gig. 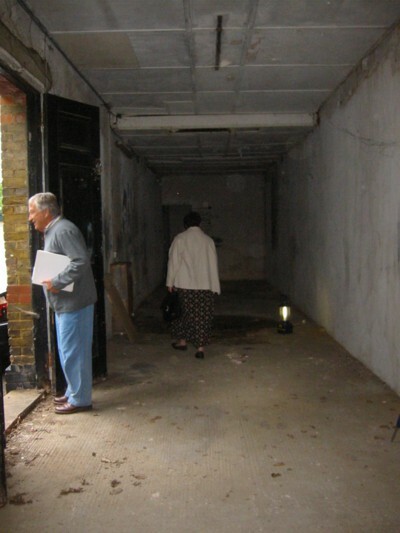 Additionally, at the end of the building will be a small room for the storage and study of the village archive, which is managed by the Bricket Wood Society. This is all subject to obtaining the necessary leasehold on the building, planning permission and fundraising of course! The Trustees have been working for a long time in the background just to get the project off the starting blocks. We feel it is important to get certain key elements in place, notably a lease on the building from Network Rail, before launching into a serious membership or fundraising drive, or commissioning a lot of project development work. Heads of Terms have been agreed with Network Rail, the building’s owner. They have provisionally agreed to let us have the building at a peppercorn rent for a period of 99 years. Our main focus now is to formalise this into a lease and gain access to the building for a full survey to be undertaken and repairs to commence. Good relationships have been built up with Travis Perkins, with whom we will need to cooperate concerning access to the building across the car park (which they currently lease from Network Rail). Around £11,000 in seed funding has been raised. We are fortunate to have had significant grants from the previous train operator (London Midland), the Department for Transport (via the Designated Community Rail Development Fund), St Stephen Parish Council, Bricket Wood Residents’ Association, as well as various other organisations and individuals. This has allowed us to commission the concept design work from Sheldon Peevor as laid out above, and set up this website. The remainder is earmarked for a full structural survey, planning application and building regs, and possibly some initial repairs – when the time comes. See how you can support us by becoming a Member….